I am a kid who didn't grow up eating kid food. My mom never gave me food from a kid's menu at a restaurant so now I don't like food like that. Since I'm only a kid, I have a lot of interests not just food. Everyone told me I need to write a blog, so here it is. I probably will write more about food because I love good food. There was an event that my mother was invited to this weekend. She was a judge for a cooking competition between Chef Mary Sue Milliken from Border Grill in Los Angeles and Chef Yvon Goetz from The Winery Restaurant and Wine Bar in Tustin. The competition was sponsored by Cadillac and there were a lot of Cadillac cars parked in Irvine Spectrum and you can sit inside and even go for a drive if you want. Bon Appetit magazine and also Epicurious were sponsors too. Some judges didn't show up so they asked me and my mother's friend who is also a food blogger if we could be judges. 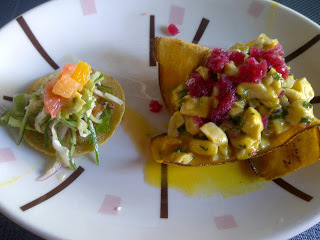 Then we started trying the food, first we tried the Peruvian Ceviche from Chef Mary Sue Milliken. I thought that the ceviche was excellent but the fish taco on the side was a little bit bland. 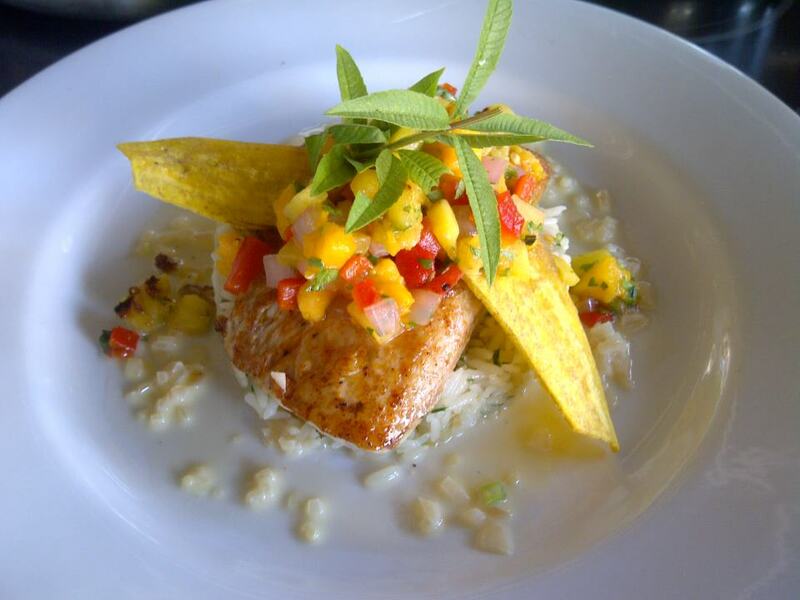 Next we had Chili Lime Rubbed Hawaiian Mahi Mahi With Ginger Jasmine Rice And Roasted Tropical Fruit Chutney by Chef Yvon Goetz. I thought the fish was excellent it was very flavorful and rich and his rice was amazing. I don't even like seafood -- okay I like calamari -- but I loved all the fish I tried. I also enjoyed being a judge it was a lot of fun. My iTouch ran out of battery so I stole some of my mom's photos for my blog. So I am in Hong Kong for the first time and so far my experience is 50/50. This is how the day started off in the morning we were going to this soup place but it was closed so sad, but we had a back up plan there was a place right next to the restaurant that was open. It was ramen noodles. They were pretty good and cheap my mom and I paid $4.00 for it, then we took a bus to go to other restaurants. After walking around a little bit I told my mom "I'm Hungry" so we got something to eat. 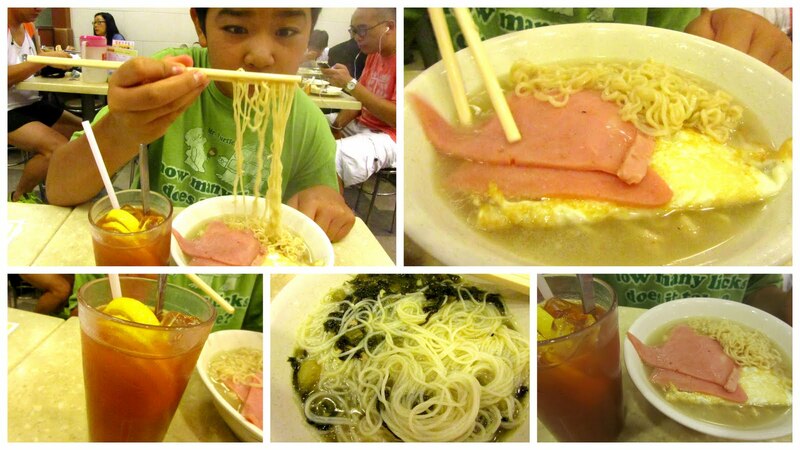 The restaurant we went to was Mak's Noodles. This place was not so good. First the place had MSG, second they had shrimp in the wonton which I hate, and third it was expensive. I was pissed off with the food, but had a good time. My mom always takes me to the food trucks every Wednesday at Irvine bowling alley. My mom says I eat too much food so I have to choose what I want I can't eat everything I want. One of the trucks I like is Lomo Arigato. They have big portions but, they have very good food. I have the lomo saltoto and I get greedy when I eat the food. I also get this pasta sometimes I have no idea what it’s called but it was dang good. The owner of the truck Eric gives me a soda called Inca Kola which taste like bubble gum. My mom says “It’s too much sugar and caffeine” and she doesn't let me drink it but when Eric gives me I sneak it home. 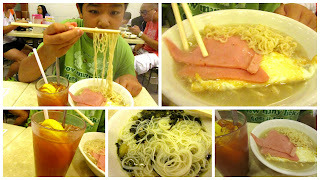 I give Lomo Arigato a 5 stars. Me and my parents went to try a place called Liang's kitchen in Irvine. We decided to go to this place because the line was so long and this is the experience I had. It was NO GOOD!! The beef noodle soup was stinky and it tasted bad. Their Chinese pizza also known as scallion pancake or cong you bing was so bad I spat it out when I usually like all types and it was too greasy. Their most horrible food as they call it was the beef sandwiches had dead herbsvegetables. All I have to say is that the food was horrible, disgusting, and gross. The service was OK. I would give this place a (3 stars). I would NOT recommend this place to other people. I always go to the lime truck on Wednesday at the Irvine Lanes. I always have the Yum Yum lamb Sandwich and the Ultimate Taco which both were super duper good!!!! The salmon and garlic sauce which was excellent is never there now so I am sad. 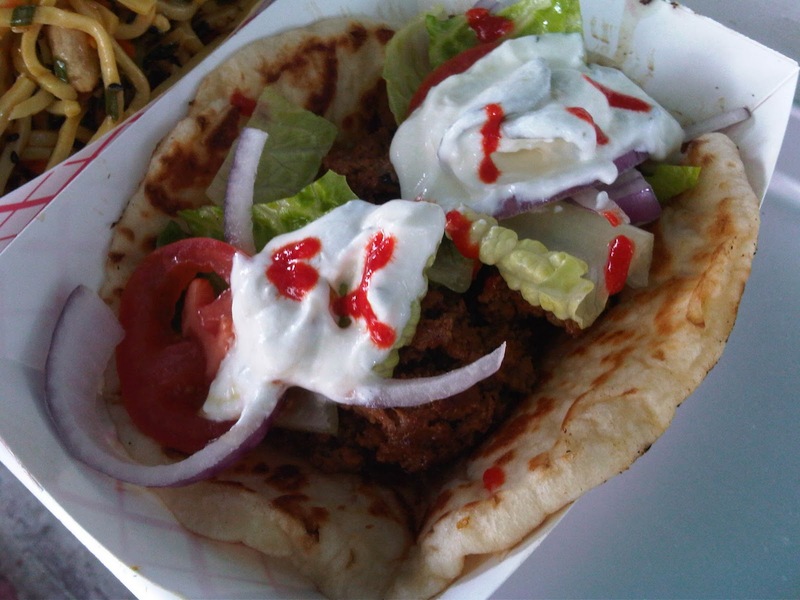 Yum Yum lamb Sandwich has very juicy flavor and the sauce is awesome.That's all I have to say.I can eat 2 of these but my mom always says it's too much.So I eat the Ultimate Taco which is also juicy and when I lift it the juices all come out. I also tried the ghost-chile salsa which was spicy on a taco!! My mom even brought me Yum Yum lamb Sandwich one day for lunch at school. Everyone said it smells so good. I love this sandwich. I would tell my friends about this best food truck and this place has the best food in Irvine on a truck. I am a lucky kid. I always have enough food to eat. This Thanksgiving some people don't have any food. So Saturday Night Foodies are setting a food drive for those people at the Verizon Wireless Amphitheater. On Wednesday November 17, 2010 at 4:30 to 9:30 it will be at 8808 Irvine Center Dr, Irvine. There will be food trucks and celebrates. These celebrates will be there so you can take your photo with them. People who can afford it please make donation of canned foods for people who can't. I will be there with my mom and dad and I want to get my photo taken with some of these celebrates like the guy from Heroes. Bring your kids they will have fun! Eat some yummy foods from the food trucks and help these people have food for Thanksgiving. Thanks! My mom took me to a food truck called "The Greasy Wiener." 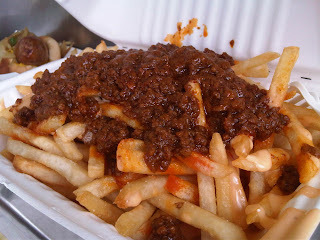 They have the best chili cheese fries in the World!($4.00). The Bacon wrapped Hot Dogs with chili and cheese sauce and grilled onion were awesome and I think they were $6 each. Plus you can get jalapenos if you like it spicy on top of the onions. I prefer both. My mom said they only go to LA and only comes here on special occasions. But they are coming here next week to Irvine my mom said, so I'm excited.